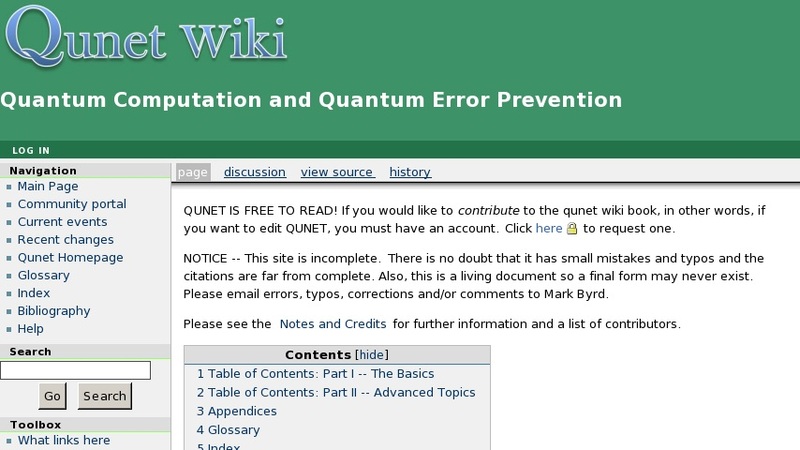 The Quantum Computation and Quantum Error Prevention Wiki is a collaborative and live document to compliment courses on quantum computing. All edits must be made by registered users in order to maintain accuracy and integrity for the document. It is produced by Qunet, a network for quantum physicists, particularly those working in the fields of quantum information and quantum computation. It was developed as a part of a NSF funded project led by Prof. M. S. Byrd at Southern Illinois University Carbondale.